IRAs are also subject to income tax (yes - even one you inherit), even though the estate tax or death tax only applies to large estates over $5.49 million. Leaving your IRA to a spouse is a common choice, but you can’t assume that your IRA will automatically be distributed to your surviving spouse. Your spouse must be explicitly named as its beneficiary through a proper beneficiary form. Even though passing your IRA to your spouse or onto the next generation may seem relatively straightforward, there are plenty of pitfalls along the way without the guidance of an expert. Get in touch today, and we’ll review your current IRA beneficiary forms to make sure everything is up to date and works to achieve your goals. The information contained in this website is a general description of CALIFORNIA LAW ONLY. 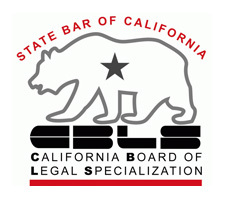 If you live in a state OTHER THAN CALIFORNIA, please contact an attorney licensed to practice law in your state. Every family situation is different, and the general information contained on this website is for informational purposes only. Nothing on this website is legal advice to you. Your use of this website, or of any of the general information contained in this website, is to be limited to informational purposes only. We advise that you not execute any documents to take any action related to your estate until you have consulted with a qualified attorney. Your use of this website, or of any information contained in this website, DOES NOT constitute the formation of an attorney-client relationship between you and the Law Offices of Ernest J. Kim. An attorney-client relationship with the Law Offices of Ernest J. Kim can ONLY be formed by entering into a written retainer agreement with us. The receipt or exchange of any email correspondence DOES NOT constitute the formation of an attorney-client relationship between you and the Law Offices of Ernest J. Kim. An attorney-client relationship with the Law Offices of Ernest J. Kim can ONLY be formed by entering into a written retainer agreement with us.